ADULT ORTHODONTICS — Its Our Speciality : It’s never too late to be your Best !! Earlier Dentist were of the opinion that only young growing children and adolescent can be successfully treated orthodontically but that idea has changed thanks to the technical innovation in treatment modality and orthodontic appliances used. You’re never too old to benefit from orthodontic treatment. Today, most of the adults opt for orthodontic treatment. Here’s why: : I. Looking good. Orthodontics center in Pune can help correct crooked teeth or spaces that you’ve been self-conscious about for years. It can give you the confidence and pride that come with straight teeth and a great smile. Leaving malaligned teeth untreated may lead to other Dental problems including abnormal wearing of tooth surfaces and difficulty in chewing. Best orthodontist in Pune can help you keep good Dental health. This has made Dental treatment in Pune more comfortable and more successful than ever for people of all ages. Less visible brackets and tooth-colored wires have caught the attention of many adults who would not otherwise seek orthodontic treatment. The recent development is lingual orthodontics or Invisible orthodontics, have further motivated them. There is always a misconception regarding treatment timing, but Braces for adults in Pune can make treatment timing from six months to two years depending upon severity of problems. Best orthodontist in Pune work with other Dental practitioners — general Dentists, periodontists, prosthodontists, oral surgeons — to provide a comprehensive approach to your Dental health. Temporary Anchorage Devices, or TADs, are small titanium anchors used in certain orthodontic in Pune cases to help achieve tooth movements that in some cases would be otherwise impossible, such as moving molar teeth back into the bone (intrusion). TADs are also used in addition to braces or Invisalign® and as an alternative to headgear. The placing of a TAD is quick, and may be over before you know it. While your doctor is placing the TAD, you may feel slight pressure; however, within a day, you will no longer be able to feel the TAD. If you do feel any discomfort from having your TADs placed, Tylenol® is recommended to help relieve your pain. If you continue to experience discomfort days after your Dental treatment in Pune, please contact us as soon as possible. Your TAD is removed once your treatment is complete, or when it is no longer needed to help straighten your teeth. Removal of a TAD is a comfortable procedure that takes just a few minutes. What an Orthodontics in Pune can do for you? Smile come in many shapes and sizes. What’s yours? A pleasing smile can be a big plus for you on the road of life. It engages others, and shares warmth. Orthodontics center in Pune can help bring out the Best in you. By applying the science of gently moving teeth, an Orthodontics in Pune can help to eliminate gaps between your teeth, straighten crooked teeth and correct other problems that can be distracting when you’re interacting with others. The before-and-after work of an orthodontist is amazing. The Dental clinic in Pune will work with your existing teeth and jaws so their natural beauty can come out. Not only do well-aligned teeth look good, they’re good for your health, too. Straight, well-aligned teeth are easier to clean and maintain. And, well-aligned teeth can help you avoid such problems as abnormal wear of tooth surfaces, difficulty in chewing and/or speaking, and excess stress on supporting bone and gum tissue. Your teeth will be with you all your life. Why not do your Best to ensure they’re strong and healthy? Q1: If my teeth have been crooked for years, Why do I need orthodontic treatment now? A: There’s no time like the present, and healthy teeth can be moved at any age. Orthodontics center in Pune can create or restore good function, and teeth that work better usually look better, too. A healthy, beautiful Smile designing in Pune can improve self-esteem, no matter what your age is. Q2: Do I need to change my oral hygiene routine during orthodontic treatment? A: Yes, keeping your teeth and braces (or other appliances) clean requires a little more effort on your part. Your orthodontistin Pune will explain how to brush and floss, how often to brush and floss, and give you any special instructions based on the kind of orthodontic treatment you are having. Be sure to follow your orthodontist’s Dental hygiene prescription to get the Best results possible. Check with your orthodontist in Pune about Dental products and tools that might be helpful. Also be sure to see your family Dental and Orthodontic centre for a professional cleaning and check-up at least every six months during your orthodontic treatment, or more often, if recommended. Q3: I see ads for perfect teeth in only one or two visits to the Dentist. 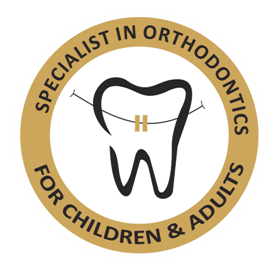 How is orthodontic treatment different? A: The ads you are seeing may be for veneers treatment in Pune. They cover crooked teeth and mask the problem, but do not address the structure in the mouth or how the upper and lower teeth meet. Veneers are not permanent. Many require removal of significant amount of tooth enamel. Orthodontics center in Pune is far more than simply treating how teeth look. It’s about aligning teeth and jaws so that they meet and function effectively. When teeth and jaws are functioning well, they look good too. Q4: What are my options if I don't want braces that show? A: Should your case warrant it, you might want to ask your Best orthodontist in Pune about lingual braces, which are attached behind the teeth. Ceramic braces may be another option to lessen the visibility of braces; they blend in with the teeth for a more natural effect. Additionally, the use of a series of clear aligner trays (Invisible braces) instead of traditional braces may be used to correct some problems. Talk with your orthodontist in Pune about less visible treatment options that will help you reach your treatment goals. Q5: I am pregnant and want to begin orthodontic treatment. Is this OK? A: Discuss this question with your GYNAECOLOGIST/physician/healthcare professional and orthodontist in Pune before you start any orthodontic treatment, as pregnancy brings in bodily changes that may affect the mouth. Soft tissues such as gums become much more susceptible to infection. Q6: Can I play sports while wearing braces? A: Yes, but make sure you wear a protective mouth guard. Ask your orthodontist in Pune to recommend the right kind of mouth guard while you are having orthodontic treatment. Keep your smile beautiful after treatment and wear a mouth guard at every practice and every game. Q7: Can I play musical instruments while wearing braces? A: With practice and a period of adjustment, braces typically do not interfere with the playing of wind or brass instruments. Best Orthodontics in Pune is the branch of Dentistry that specializes in the diagnosis, prevention, and treatment of Dental and facial irregularities. Q9: Who is an orthodontist? An orthodontist in Pune is a specialist who has completed an advanced education program following Dental school to learn the special skills required to manage tooth movement and guide facial development. Q10: What are some possible benefits of orthodontics? Q11: What are some signs that shows braces may be needed? Q12: At what age should orthodontic treatment occur? Many Orthodontics in Pune problems are easier to correct if detected at an early age before jaw growth has slowed down. Early treatment may mean that a patient can avoid more serious complications than if started later. The American Association of Orthodontists recommends that every child should first visit an Best orthodontist in Pune by the age of seven or earlier if a problem is detected by parents, the family Best dentist in Pune, or the child’s physician. Q13: What is Phase I and Phase II treatment? Phase I, or early interceptive treatment, is limited orthodontic treatment (e.g., expander or partial braces) before all of the permanent teeth have erupted. Such treatment can occur between the age of six to ten. This treatment is sometimes recommended to make more space for developing teeth, correction of crossbites, overbites, and underbites, or harmful oral habits. Phase II treatment is also called comprehensive treatment because it involves full braces when all the permanent teeth have erupted. Q14: Would an adult patient benefit from orthodontics? • Q15: How does orthodontic treatment work? Braces for adults in Pune use steady gentle pressure to gradually move teeth into their proper position. The brackets that are placed on your teeth and the archwire that connects them are the main components. When the initial archwire is placed into the brackets, it tries to return to its original shape. As it does so, it applies pressure to move your teeth to their new, more ideal position. Q16: How long does orthodontic treatment take? Treatment time varies on a case-by-case basis, but the average time is from one to two years. Actual treatment time can be affected by growth and severity of the correction necessary. Treatment length is also dependent upon patient compliance. Maintaining good oral hygiene and keeping regular appointments are important in keeping treatment time on schedule. Q18: Will braces interfere with playing sports? Q19: Will braces interfere with playing musical instruments? Q20: Should I see my general Dentist while I have braces? Yes, you should continue to see your Good Dentist in Pune every six months for cleanings and Dental checkups. Q21 How will be my Life with Braces ? The wires and bands on your Braces for kids and adults in Pune may come loose. If this happens, please contact us as soon as possible so that we can check and repair your appliance. If any piece of your appliance comes off, be sure to save it and bring it to the office with you. Game, Set, Match — we have great news for athletes! You can still play sports even while undergoing orthodontic treatment! If you do play sports, it's recommended that you wear a mouthguard to protect your teeth and your appliance. Let your Best dentist in Pune know if you need help finding the right mouthguard for the Best protection. Q22 What Emergency can Occur during my Orthodontic treatment & how to manage it ? True orthodontic in Pune emergencies are very rare, but when they do occur we are available to to our patients. As a general rule, you should call the office when you experience severe pain or when you have a painful appliance problem that you can't take care of yourself. We'll be able to schedule an appointment to resolve the problem. You might be surprised to learn that you may be able to temporarily solve many problems yourself until you schedule an appointment with our office. When working with your appliances, you need to know the names of the parts of your appliances so you can identify what part is broken or out of place (See your care instructions) After alleviating your discomfort, it is very important that you still call our office as soon as possible to schedule a time to repair the problem. Allowing your appliance to remain damaged for an extended period of time may result to disruptions in your treatment plan. When you get your Braces for kids and adults in Pune on, you may feel general soreness in your mouth, and teeth may be tender to biting pressures for three to five days. This can be relieved by rinsing your mouth with a warm saltwater mouthwash. Dissolve one teaspoonful of salt in eight ounces of warm water, and rinse your mouth vigorously. Placing Orabase on the affected area may help; this can be found in a pharmacy. If the tenderness is severe, take aspirin or whatever you normally take for headache or similar pain. Sometimes headgear discomfort is caused by not wearing the headgear as instructed by your orthodontist in Pune. 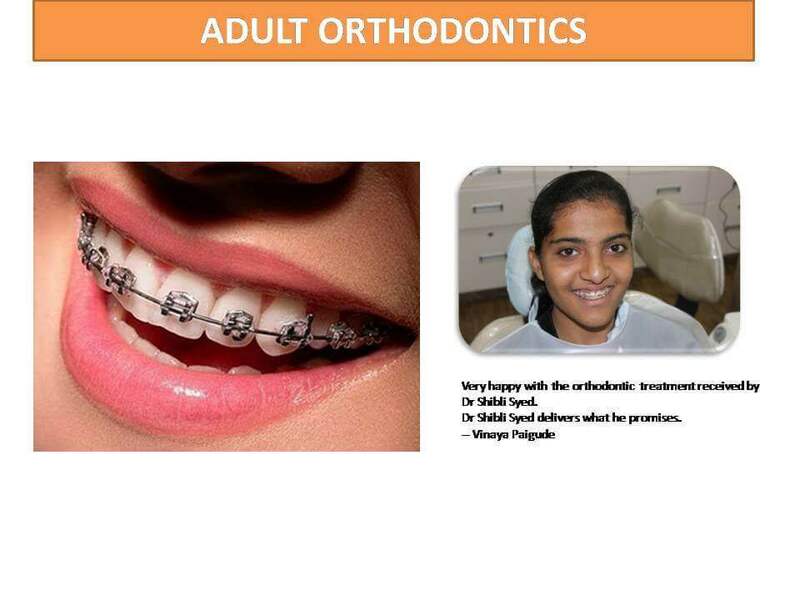 Please refer to the instructions provided by your Best orthodontist in Pune. If the facebow is bent, please call our office for assistance. Surprisingly, the headgear may hurt less as it's worn more, so be sure you're getting in the prescribed number of hours. Simply call our practice! Our Patient Care Specialists will be happy to help schedule your next appointment at your convenience. If you are a new patient or have been referred to our practice, please let us know and we will provide you with all of the information you need.